From Los Angeles to New York, innovative institutions are paving the way in workforce training, and providing jobs and services for communities in need. 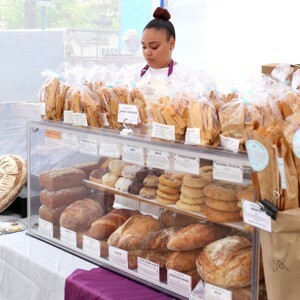 The things I learned here I will take with me for a lifetime,” said Sharabia Wilson-Lo, a recent graduate of Hot Bread Kitchen, a New York City-based bakery and culinary incubator. "While the other training programs I was involved with before gave me skills, Hot Bread Kitchen was the only one that helped me land a great-paying job with benefits and paid leave." Possibly more importantly, Wilson-Lo said she finally loved her job. “I have five different certifications from different programs in New York City,” she said. “But nothing compares to what I learned and acquired at Hot Bread Kitchen, leveraging my passion for food and cooking." A class in session at Hot Bread Kitchen. Photo by Hot Bread Kitchen. It can be easy to forget that businesses are made up of people. Without great (and happy) employees, they struggle to thrive. But what about the business of finding and developing great employees? Many people spend much of their lives—from kindergarten through graduate school—preparing for the job market. But not everyone can be so lucky. Millions of Americans start from shakier foundations: broken homes, poverty, lack of access to education, or other setbacks. These disadvantages can be debilitating, and left unaddressed, can essentially preclude you from opportunities to join the workforce. Entire communities have been left behind this way, struggling to keep up and get a toe in before the door closes with an ever-changing job market and economic landscape. A growing number of workforce training organizations have recognized the need to develop alternative paths to employment for their clients. Some employers might think twice about taking a chance on hiring ex-offenders, single moms, non-English speakers, formerly homeless or other underserved populations; these organizations came up with an unorthodox solution. Instead of just placing clients in jobs, they decided to create a business that actually creates employment opportunities for the people they serve, who had otherwise been excluded from the workforce system, and in so doing have sought to correct an egregious market and system failure. By promoting both their business and social good—in this case employment—these businesses are acting as what’s become known as a social enterprise. 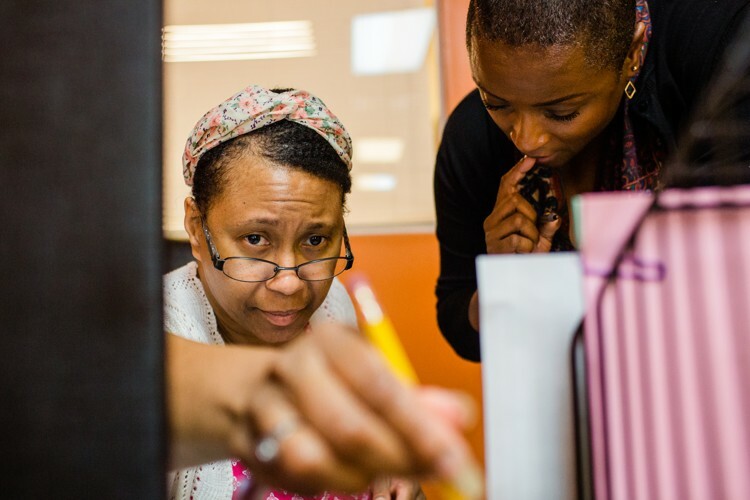 At North Lawndale Employment Network, clients find support filling out job applications. Photo by Gabriela Bhaskar. “Social enterprises are helping fill a gap by breaking down barriers for those who are disconnected from the job market—including the hardest to employ—and connecting them to opportunities to invest in their own economic futures,” said Brandee McHale, president of the Citi Foundation and head of corporate citizenship at Citi. Some of the most innovative of these companies are currently participating in the Citi Foundation’s Community Progress Makers Fund, an initiative assisting organizations driving economic opportunity in low-income neighborhoods. Many communities that fit this description are located in neglected areas of major cities, where a difference in location of a few blocks or a subway stop can feel a world apart when it comes to the local economy. “More and more people are moving to cities in search of opportunity,” said McHale. Knife skills class is in session at Hot Bread Kitchen. Photo by Hot Bread Kitchen. Such is the case at Hot Bread Kitchen, where the trainees apprentice as artisanal bakers to learn how to make Hot Bread Kitchen’s more than 75 varieties of bread from recipes sourced all over the world, inspired by the women who make them, which are then sold in groceries and markets throughout the region and at a storefront in Spanish Harlem. Photo by Hot Bread Kitchen. Between June 2017 and June 2018, New York added more than 27,000 leisure and hospitality jobs, the second largest employment increase by sector, according to the New York Department of Labor. More than 15,000 of these jobs were in food services and drinking places. Sen said it’s important that the model they’re building is replicable so that it could potentially be reproduced in other cities where there’s a similar need for job opportunities and training for immigrants. 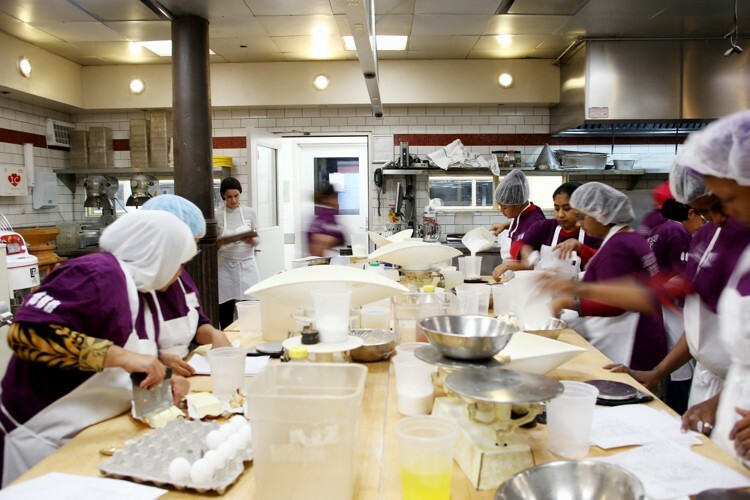 Hot Bread Kitchen develops the otherwise unharnessed talent of their trainees by offering a very hands-on culinary education alongside other, so-called “soft skills,” ranging from English courses to building personal confidence and workplace familiarity. Once a trainee gets a job, Hot Bread Kitchen continues to check in with them for up to a year to make sure they remain on a positive trajectory. A recent graduate of Hot Bread Kitchen receiving job placement support. Photo by Hot Bread Kitchen. “Our goal is that all of life’s challenges that can get in the way of maintaining a job, such as childcare, don’t get in the way of someone keeping their job,” said Sen. The senior staff portrait at Homeboy Industries. Photo by Eddie Ruvalcaba. 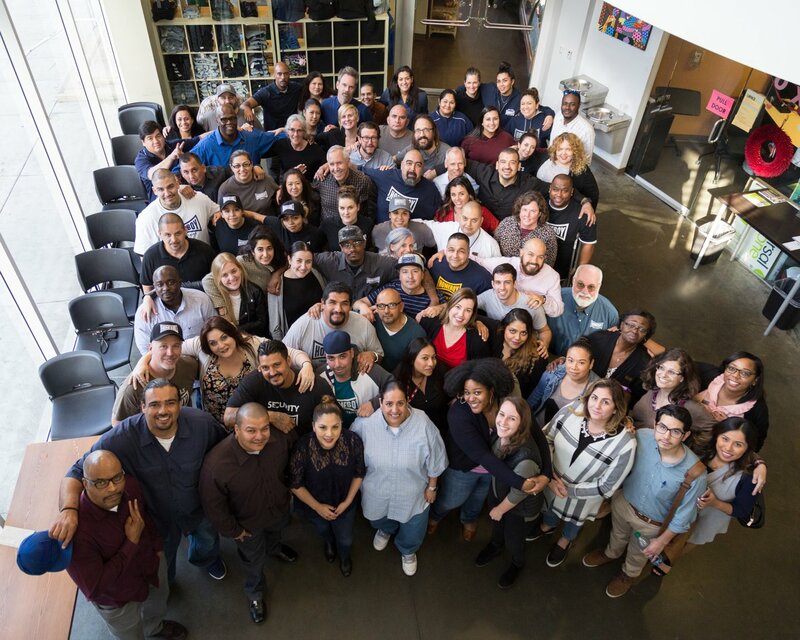 Across the country in Los Angeles’ Boyle Heights, Homeboy Industries, another community-driven organization, is not just a bakery but also a café, tortilla and salsa brand, print service, and even an electronics recycling company. Started over 30 years ago, when Los Angeles was in the midst of a gang epidemic, Homeboy provides a lifeline to jobs and education for people returning from the criminal justice system and, more importantly, an alternate path forward than returning to gang membership. While Boyle Heights has changed dramatically over the decades and is now rapidly gentrifying, high rates of incarceration remain a major problem across Los Angeles—a problem that Homeboy Industries continues to address with a mix of ingenuity and perseverance. Over the years, Homeboy Industries has shifted from being solely job-focused to something much more healing-driven, in which trainees don’t just work at their jobs, but also work on themselves. 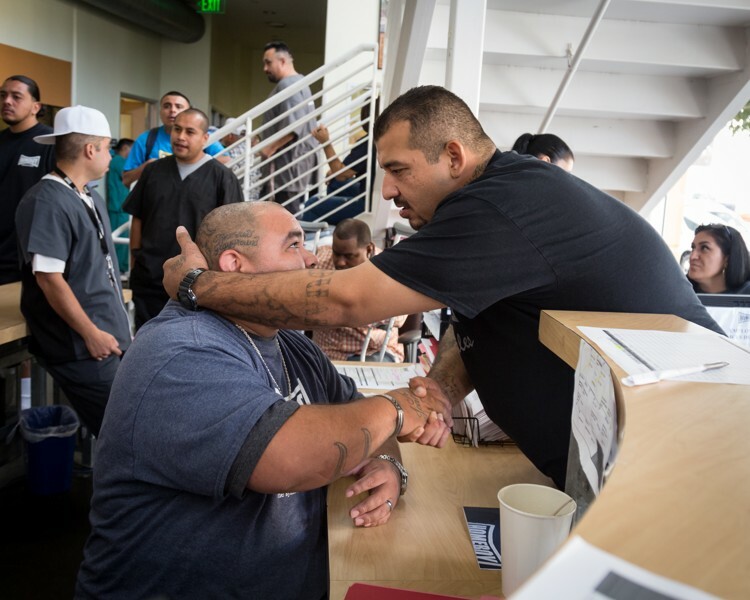 This healing approach helps break the cycle of recidivism, violence, and gang affiliation, according to Alison Lass, network manager for Homeboy Industries. Finding brotherhood and support within the Homeboy community. Photo by Eddie Ruvalcaba. Clients work with case managers to develop a “game plan” for the services and skills they need to find outside employment. To start with, trainees work in the maintenance department, eventually moving on to a more vocational position within one of the social enterprise programs. One year sober thanks to Homeboy Industries. Photo by Eddie Ruvalcaba. 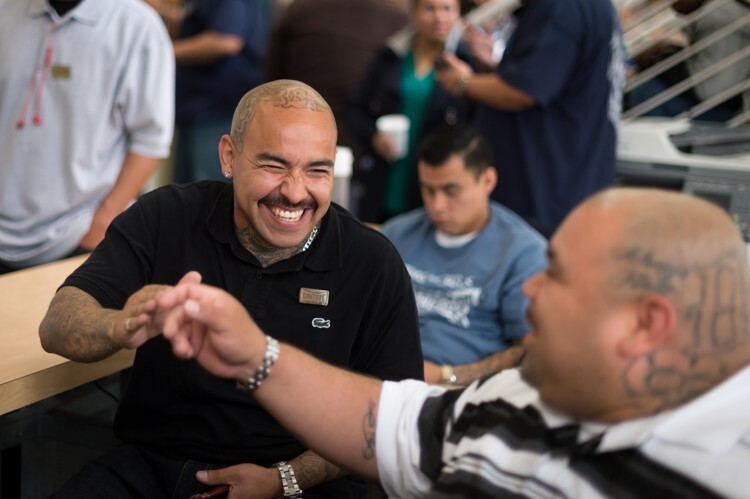 According to their annual report, Homeboy’s approach has become a model for over 250 organizations around the world working to improve the lives of former gang members. It’s no wonder other ventures look to Homeboy as an example: In addition to improving lives and benefiting communities, Homeboy’s revenue grew over 12 percent in 2017 while operations expenses only grew 3 percent. They plan to use the operating profit to continue to grow and give back to the community. Being a part of the Citi Foundation’s Community Progress Makers Fund will help propel this growth even faster. 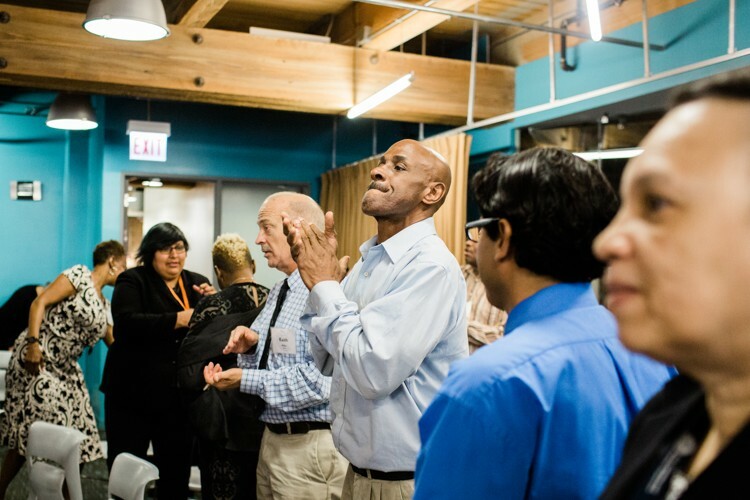 Social enterprises are also proliferating in Chicago, the third largest metropolitan area in the U.S. after New York and Los Angeles. 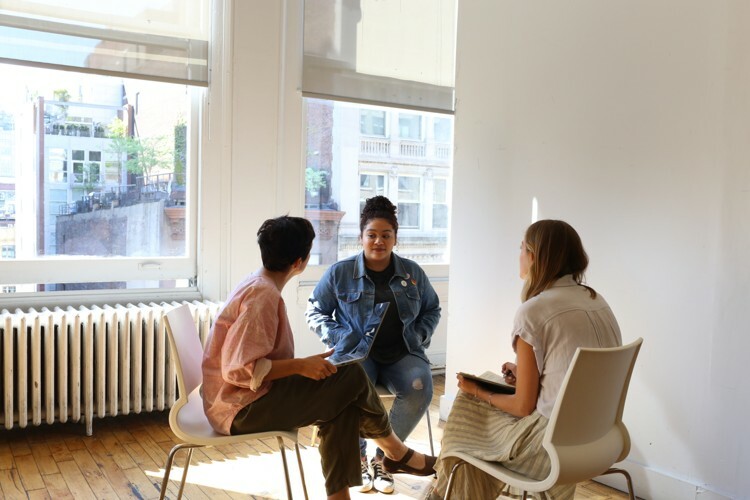 Cara, a 25-year-old organization that helps formerly homeless people find and keep jobs, plans to use the Community Progress Makers Fund support to expand their reach to young people in order to disrupt the cycle of homelessness earlier. Cara focuses on job training, and offers transitional jobs in two business ventures: Cleanslate, which focuses on exterior maintenance, and Cara Connects, a staffing agency with a broad scope, including everything from administrative work to warehouse positions. Maria Kim, CEO of Cara, said that up until now the average age of their clients has been close to 40. These adults have experienced misfortunes, missteps, and chronic poverty and homelessness, and are often “sick and tired of being sick and tired.” Kim said that Cara has realized that if they can intervene at an earlier stage, they can help an entire section of the population avoid these pitfalls later in life. Cara clients build reassurance, encouragement and motivation through social networks. Photo by Gabriela Bhaskar. Kim said one of the challenges of working with young people is that you need to find especially engaging or exciting ways to teach them on the job, with skills that are “relevant immediately.” She also said that young people require different skill sets, and even though they are way more technically savvy, it can be hard to keep up with the pace of technological shifts in the workplace. Cara hopes to expand to at least one new geographic location within the next year, to a city where workforce services are underrepresented. “We’re kind of thinking about it like a social technology,” Kim said. “How do we codify the practice so that for clients in a new market it feels the same—they can go to the same place and benefit from our bonus workforce.” By “bonus workforce,” Kim is referring to those members of the community that otherwise would have been left out and left behind — their addition is an unexpected bonus. Brenda Palms Barber, executive director of North Lawndale Employment Network and chief executive officer at Sweet Beginnings. Photo by Gabriela Bhaskar. 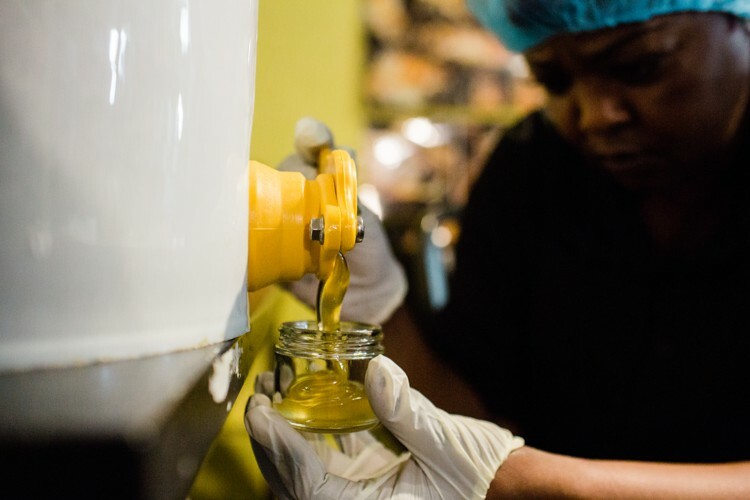 Just a few neighborhoods over, Sweet Beginnings combines the power of bees and of human social enterprise to create raw honey and honey-infused body care products made by workers with criminal records. 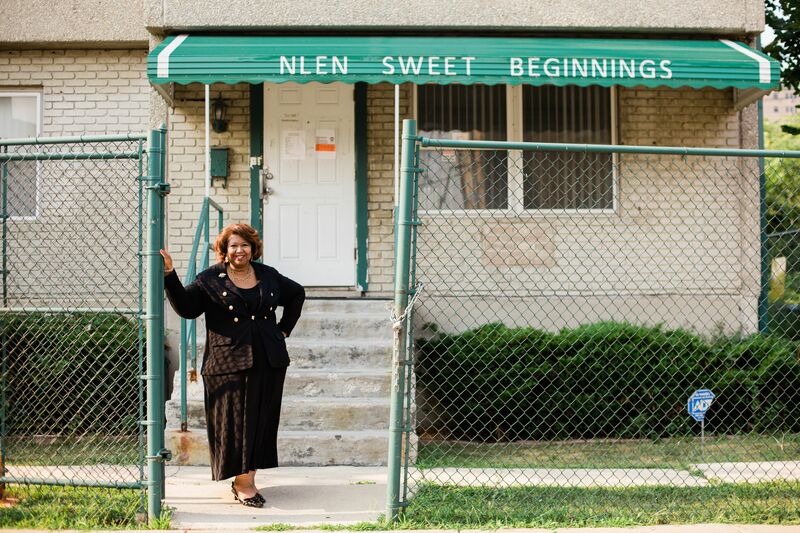 Brenda Palms Barber, executive director of North Lawndale Employment Network and chief executive officer at Sweet Beginnings, said she started the business in 2005 out of frustration with the business community’s refusal to hire people with troubled pasts. “The process of institutionalization that returning citizens go through behind bars is one that must be reversed in order to become successful in the workplace,” said Barber, adding that a similar thing could be said for many communities at large. “When communities are ravaged by poverty and violence, generations of families suffer as neighborhoods are drained of their primary wage earners, investment from local business owners, and a tax base which can support community social resources,” said Barber. 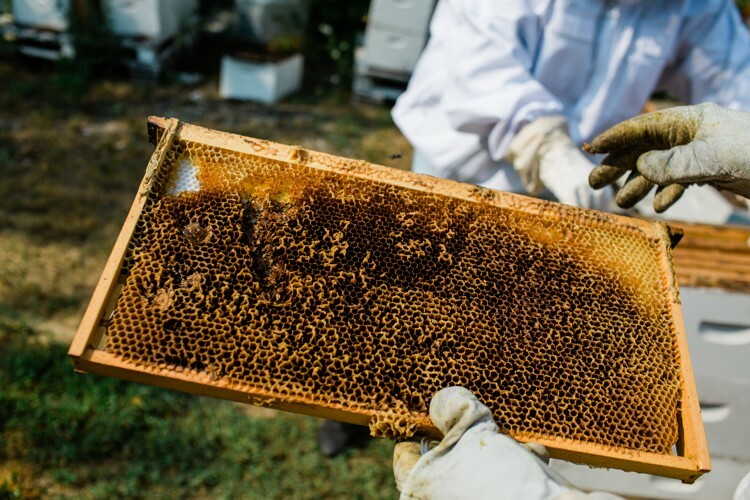 The ancient profession of bee-keeping at Sweet Beginnings beehives. Photo by Gabriela Bhaskar. Barber said she when she started Sweet Beginnings the term “social enterprise” wasn’t yet a buzzword, and that her peers doubted “something sweet” could come from the North Lawndale neighborhood, where over 50 percent of the people have been affected by the criminal justice system, either directly or through a family member. Over a decade later, the business has a devoted following and vibrant community presence, and program participants gain skills in things like manufacturing, sales, inventory, quality control, food handling, customer service, and digital literacy. The production team is composed of transitional workers that have gone through North Lawndale Employment Network’s readiness training program. ‘Something sweet’ from the North Lawndale neighborhood. Photo by Gabriela Bhaskar. Why bees, you might ask? Barber said after months of considering different businesses, the idea of beekeeping made perfect sense when a friend mentioned it. And it’s that adaptability and resiliency that more employers should recognize in high-potential job candidates; not just the number degrees obtained or where the applicant previously worked. Sure those bullets on a resume can provide valuable information about someone’s background and the traits they bring to the table. But so can the challenges they’ve overcome. These social enterprises—and many others like them—are building businesses and hope, one person at a time.